Happy Monday, dear readers! It certainly doesn't feel like the typical Monday around here since the husband is off from work! We decided to stick close to home rather than attempt going on the highways over the long weekend. I had hoped to do some nail art for Memorial Day in honor of those that have sacrificed for our country, but time ran away from me and I couldn't figure out exactly what I wanted to do. Instead, I ended up leaving on a gorgeous polish made by le polish created for my Made for Me Monday series. Let's get to it! 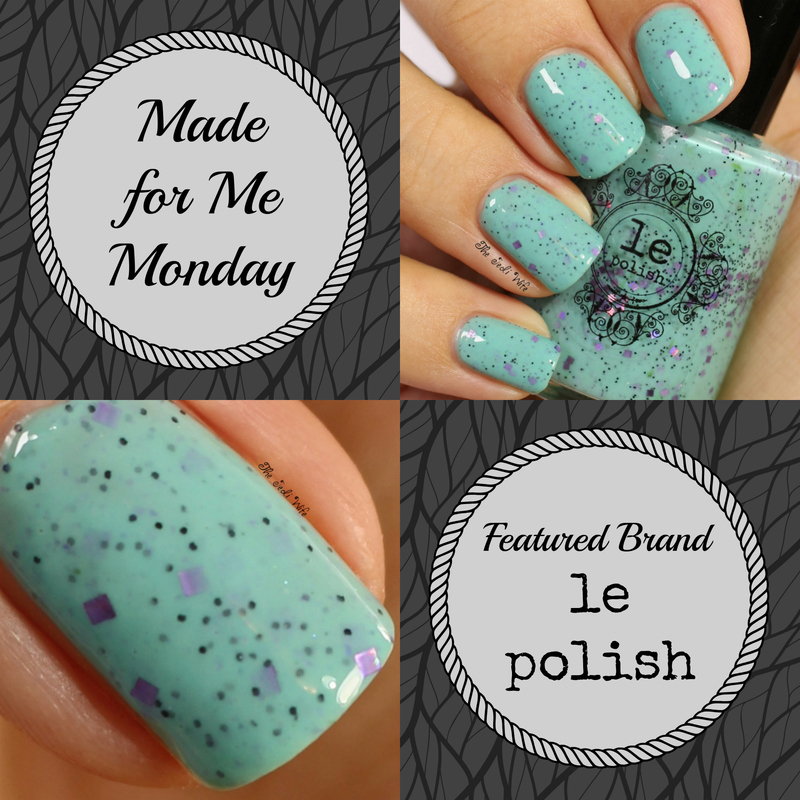 If you're not familiar with my Made for Me Monday series, let me fill you in! I have partnered up with different indie brands and have provided either an inspiration photo or a prompt. They work their magic with very minimal input from me and I showcase the final product on my blog. Even though the series is called "Made for Me Monday", most of the custom creations have continued on to be launched by the brands, either as a core product or as part of a limited release. I have been thrilled at how this project has turned out so far, and I love that you can enjoy many of these creations as well! Now to today's post! This is the photograph I provided to Allison, the creative mastermind behind le polish. I adore this colour combination, and I was so eager to see what she would create with this. 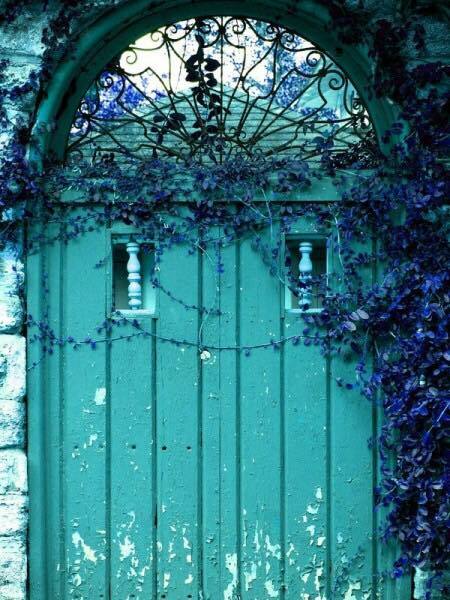 Presenting, A Secret Garden! A Secret Garden is a beautiful light turquoise crelly with small dark glitters and purple glitter squares. It is a lovely interpretation of the photo, and the name is perfect! A Secret Garden had a wonderful formula that was easy to work with: not too thin or too thick for my liking, I did not have to dig for any of the squares and the glitters spread nicely on my nails. This polish is gorgeous, and I am happy to report that it will be launched on the le polish store in the not-too-distant future. Until then, there are other lovely le polish shades to choose from to keep your digits pretty and colourful until this is released. Be sure to follow the le polish Facebook page and join the fangroup for updates as to when exactly this will be available. You definitely don't want to miss out! What do you think of this polish? Is it on your wishlist? What other le polish shades do you love? I'd love to hear from you! This inspiration picture AND polish are stunning!! I definitely need this!! ohhh I really like that! She really captured this perfectly! The base color is divine. This is gorgeous! The name is perfect and I think she did really well at bringing out the inspiration. I'm so happy to hear this polish will be available soon! I cannot wait! It's so gorgeous, I fell in love with it immediately when I saw it on Facebook earlier today. So pretty! Love the inspo picture! Gorgeous swatch and polish! I would love to get my hands on it! I love that picture and he polish is a great interpretation. I want this!! The teal base is gorgeous!